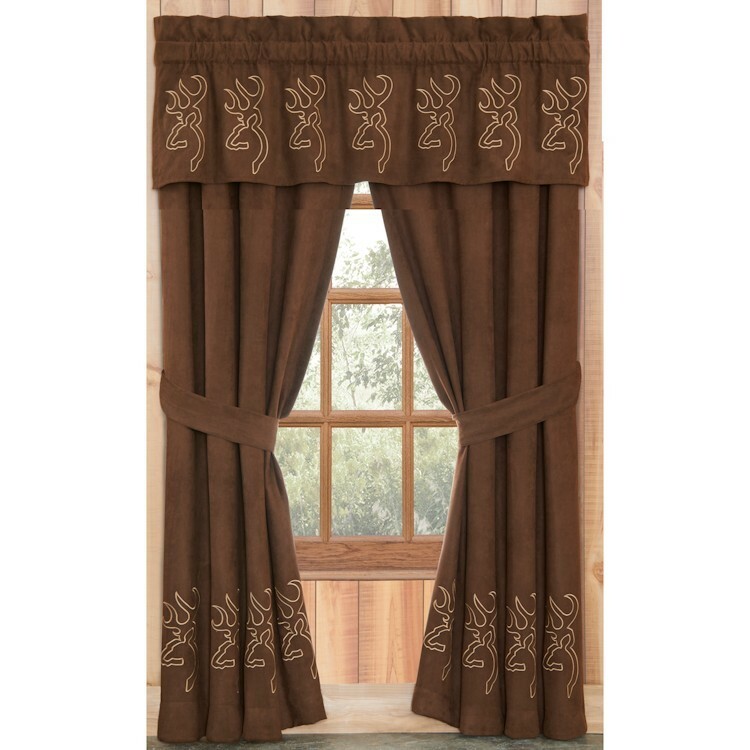 The Buckmark Embroidered Rod Pocket Drapes features a warm, rich color scheme. Made of soft brown microfiber suede and accented with embroidered Buckmark logos. 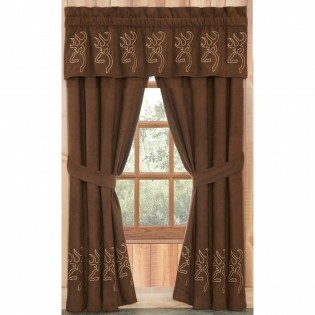 The same Embroidered Buckmark Logo border is also featured on the Valance.